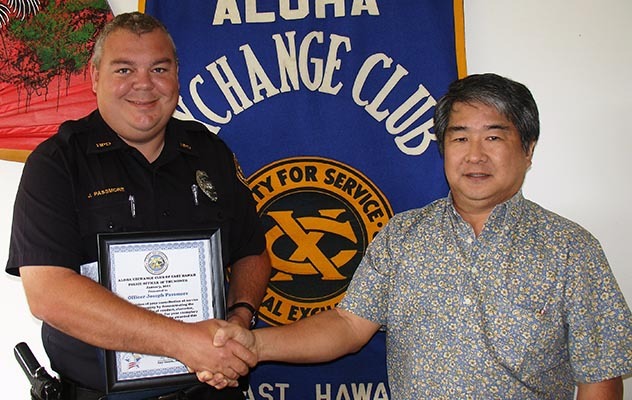 The Aloha Exchange Club of East Hawai’i recognized Officer Joseph Passmore on Thursday (January 28) as “Officer of the Month” for January. Passmore was honored for solving an unreported burglary while thoroughly investigating another burglary. 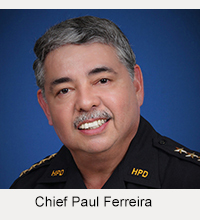 In November, Passmore, a Puna patrol officer who also works as a Field Training Officer, was assigned to investigate a burglary in Kea’au. During a search of the suspect’s house, Passmore initially found all the stolen items except a firearm. He persisted in his search until he uncovered the carefully hidden weapon. 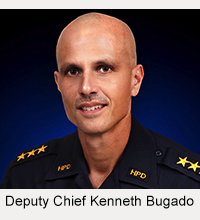 While in the house, Officer Passmore observed professional sound equipment that seemed out of place. By using his community contacts, he determined that the items had been stolen from a private school, although school officials had only been aware that sheet metal was missing. Further investigation led to the recovery of the sheet metal.